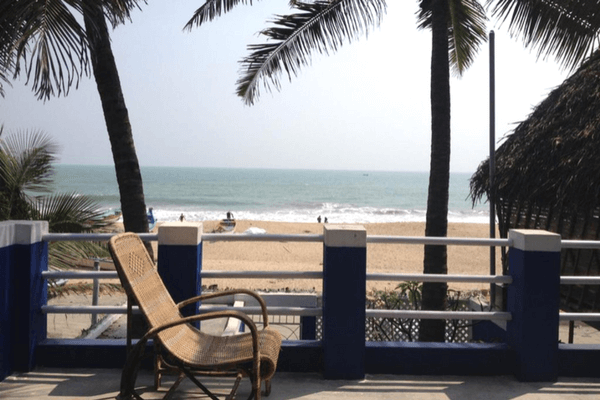 Looking For A Beach Resort In Pondicherry? Here Are The Best Ones To Choose From! Amongst the many things about Pondicherry, one of the best things about this quaint town is its proximity to pristine beaches. 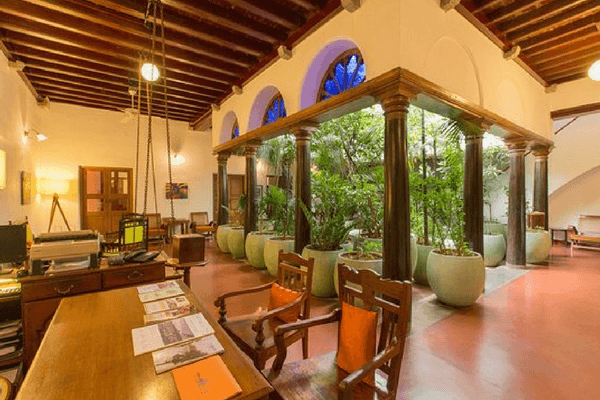 With an unmistakable French connection, tree-lined boulevards, quaint colonial heritage buildings, Pondicherry has some amazing places to stay. However, other than its French connection, tucked snugly on the eastern coast of India, Pondicherry has the makings of a perfect beach holiday. If you are on a beach holiday, shouldn’t you also choose the best beach resort in Pondicherry? Well, we give you some of the best beach resorts in Pondicherry. Nestled snugly between the Chunnambar River and Bay of Bengal, Le Pondy celebrates the beauty of Pondicherry by offering stunning vistas. The architecture reflects a mix of colonial and Indian styles that Pondicherry is known for. The resort is known to have some amazing spa treatments. Distance from airport: It is approximately 149-150 km away from the Chennai International Airport. Approximate cost: It will cost you INR 7500-26000 approximately per night for a room. 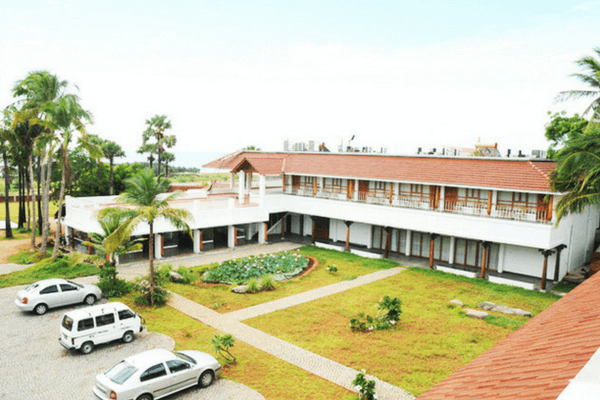 The eco-friendly beach resort in Pondicherry has been primarily constructed keeping Mother Nature in mind and only recycled materials have been used. The resort also uses solar energy, has a biogas fuelled kitchen and does rainwater harvesting. Distance from airport: It is approximately 142-143 km away from the Chennai International Airport. Approximate cost: It will cost you INR 2000-4000 approximately per night for a room. This enchanting boutique beach resort in Pondicherry is known for its warmth and hospitality is one of the best places to stay in Pondicherry. Purple Resort is set amidst Auroville so you can stay there and visit the ashram frequently. Their in-house restaurant offers delicious varieties of cuisines. Close proximity to Pondicherry University, PIMS Hospital, Beaches and Pondicherry town. Distance from airport: It is approximately 143-144 km away from the Chennai International Airport. Approximate cost: It will cost you INR 1500-2500 approximately per night for a room. This charming and serene resort is spread across a sprawling 35 Acres property is one of the best beachside resort in Pondicherry. The resort emphasis on organic living, harmony with nature and purifying the mind, body and soul. 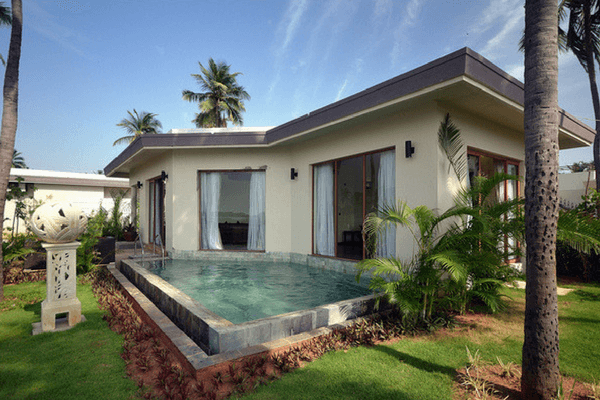 The resort homes a healing centre called the Deepak Chopra Healing centre that offers various Ayurvedic Body Treatments as per your health needs. There is also a special artist centre, where artists visiting Pondicherry can use this space to create and promote art and culture. Distance from airport: It is approximately 135-136 km away from the Chennai International Airport. Approximate cost: It will cost you INR 4500-9700 approximately for a room. Treat yourself to a sojourn of peace and relaxing luxury with a stay at the stunning Windflower Spa and Resort. The award-winning property is one of the best beach resorts in Pondicherry. The resort has the beach on one side and some soothing backwaters on the other side. Plan an Ayurvedic message for some much needed R&R. 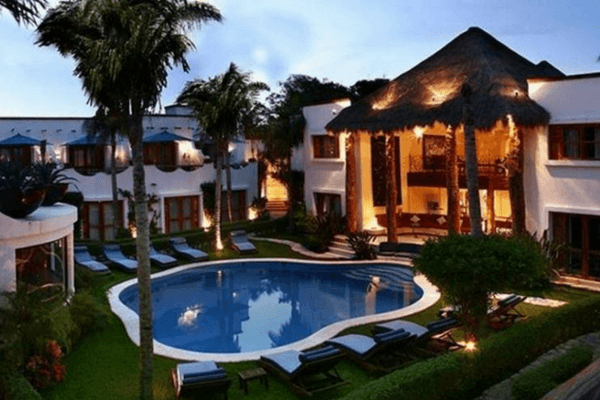 If you are looking for some quiet time with your partner, you have the option of booking a villa with a private pool. Distance from airport: It is approximately 153-154 km away from the Chennai International Airport. Approximate cost: It will cost you INR 7500-21500 approximately per night for a room. A unique haven of natural beauty, quietude and gorgeous views, the Kailash Beach Resort offers a great stay for its patrons. It ranks amongst one of the best hotels in Pondicherry. The resort is located very close to the Roman ruins of Arikkamedu, which makes for an interesting sight in Pondicherry. Try detoxing after a long day by enrolling in one of the many spa therapies offered by the resort. Distance from airport: It is approximately 147-148 km away from the Chennai International Airport. Approximate cost: It will cost you INR 3500-7500 approximately per night for a room. A gorgeous blend of modern architecture and warmth of South Indian generosity, Sunway Manor offers a memorable stay experience to its guests. The open house restaurant serves great food here. Don’t miss their sprawling swimming pool. Distance from airport: It is approximately 148-149 km away from the Chennai International Airport. Some resorts make you feel like at home and there are some homes which feel like a resort. The Serenity home stay is a part of the latter. With a location to die for, this is one of the best beach resorts to stay if you want to, literally, be on the beach. Take a moonlit walk on the beach at night for a romantic night out. The resort has an open-air café and with the view of the beach, it is one of the best locations for a dinner with your partner. Approximate cost: It will cost you INR 3500-6000 approximately per night for a room. Located in the shaded woods of tranquil Auroville, the Prince Park Resort is a farmhouse that blends nature and ecology with clean living and tranquillity. Accommodations are in the form of farmhouses giving it a charming feel. 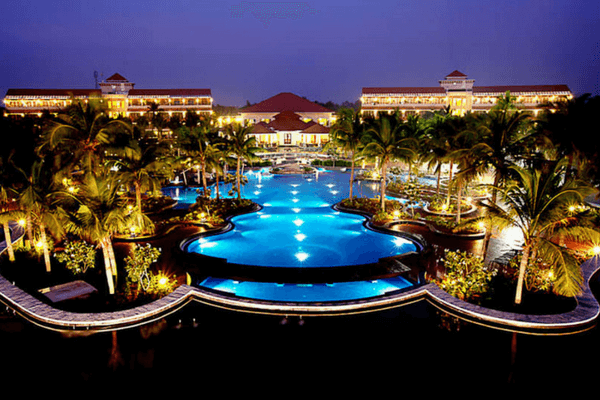 Take a dip in their amazing swimming pool on a cool evening. The resort also holds some cooking classes for their guests. Approximate cost: It will cost you INR 1500-4500 approximately per night for a room. 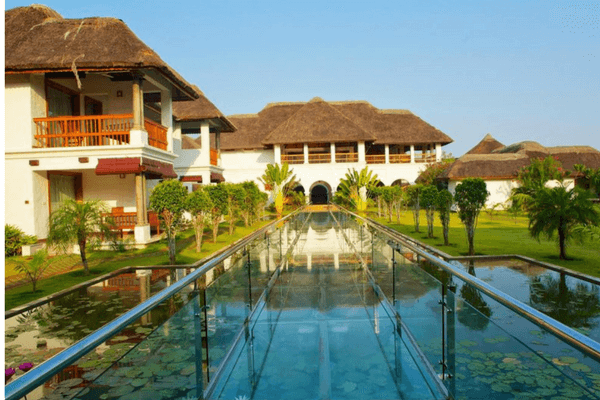 The Gate House heritage resort is designed in traditional Tamilian architecture replete with red-tiled roofs, a wooden staircase and encased by sprawling gardens, and is a marvel. It is undoubtedly amongst one of the best beach resorts in Pondicherry. The resort is known for its archaic and wonderful ambience. 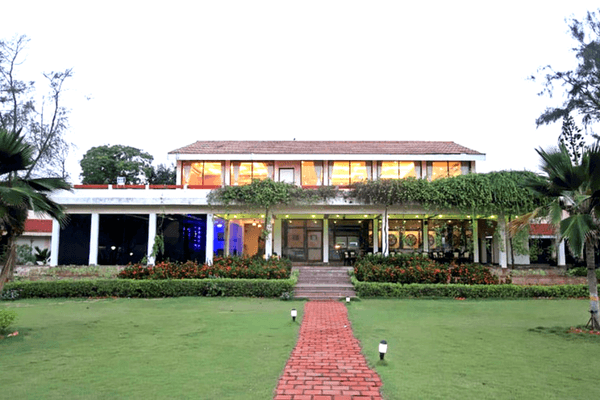 The resort manages to keep the old world charm intact with modern day luxury. Distance from airport: It is approximately 140-141 km away from the Chennai International Airport. Approximate cost: It will cost you INR 4500-6500 approximately per night for a room. 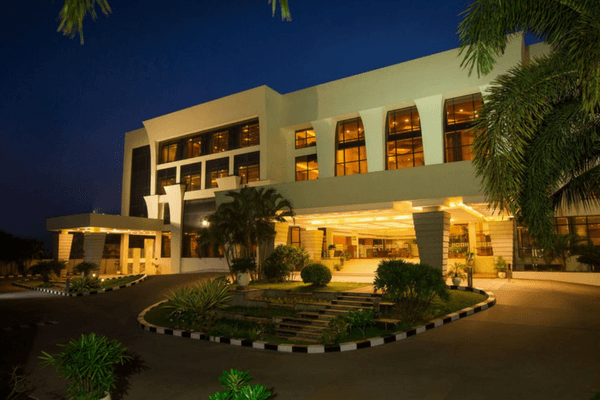 Sitting pretty along the East Coast Road and overlooking the mighty Bay of Bengal, Ocean Spray Resort is one of the best sprawling beach facing properties and beach resorts in Pondicherry to stay in. There is an actual floating restaurant in Ocean Spray Resort that makes for a great dining experience. A combination of villas and rooms, the resort offers great serenity. Stargaze after a long day of exploring in their out of the world open to sky Jacuzzi. Distance from airport: It is approximately 134-135 km away from the Chennai International Airport. Approximate cost: It will cost you INR 3500-16000 approximately per night for a room. Staying at Maison Perumal offers you the rustic charms of a beachfront destination coupled with unforgettable warmth and friendliness of the hosts. The stone floors and stained glass of the balconies provide a stunning backdrop to a memorable stay in Pondicherry. 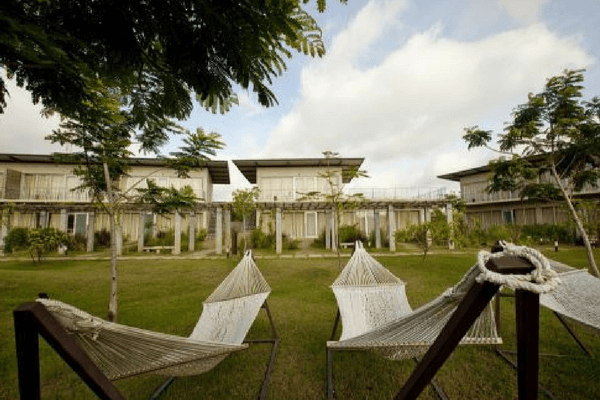 Maison Perumal is an 18th-century bungalow that has been converted into a resort. Take a relaxing heritage walk, cycle around town on bikes or visit the various sights of the city. 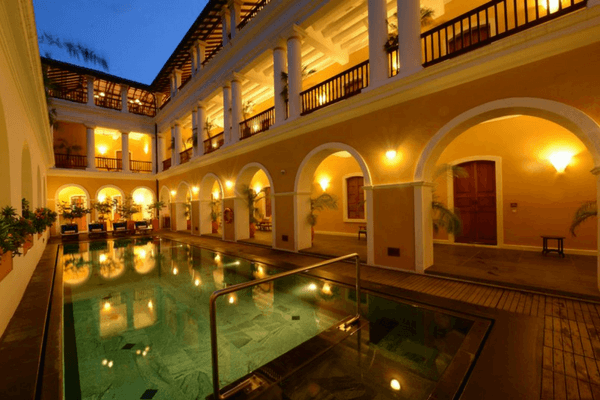 Maison Perumal is easily one of the best beach resort in Pondicherry. Approximate cost: It will cost you INR 6000-11000 approximately per night for a room. 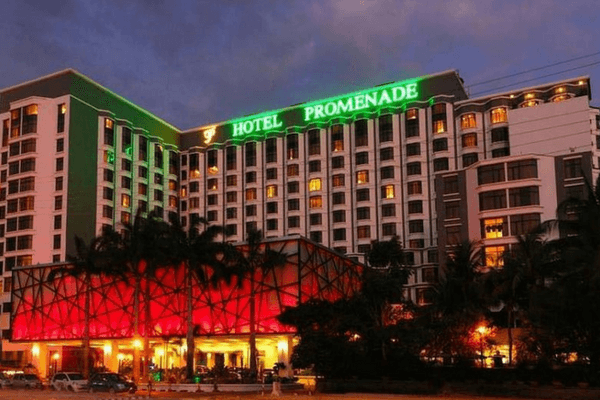 Located along the famous Boulevard Area of the city in the French Quarter, the proximity to the beach and its incredible location makes it one of the best resort in Pondicherry. Everything that you need to see, buy or eat is just a stone’s throw away. The restaurant offers excellent Barbecue, Mediterranean, Oriental and Indian Cuisine. Stop by the Storytellers’ bar, where specially themed stories are encouraged and enacted by the locals. 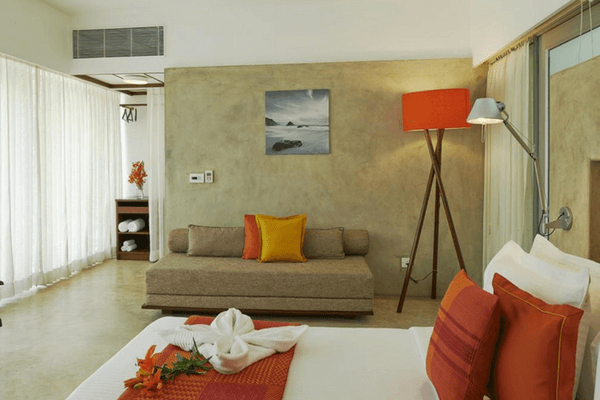 Approximate cost: It will cost you INR 5000-8000 approximately per night for a room. 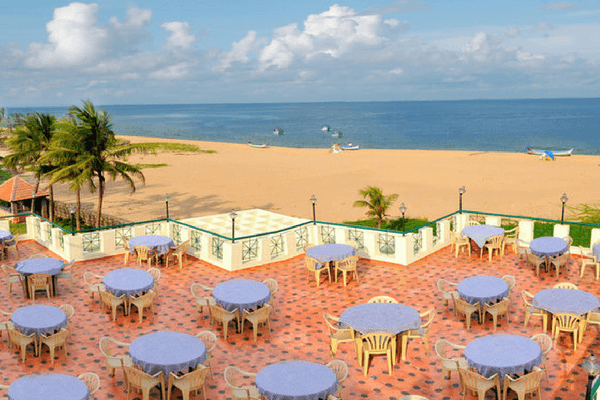 Overlooking the sea, this beach resort in Pondicherry offers excellent and luxurious staying experience with all the comforts you can think of. 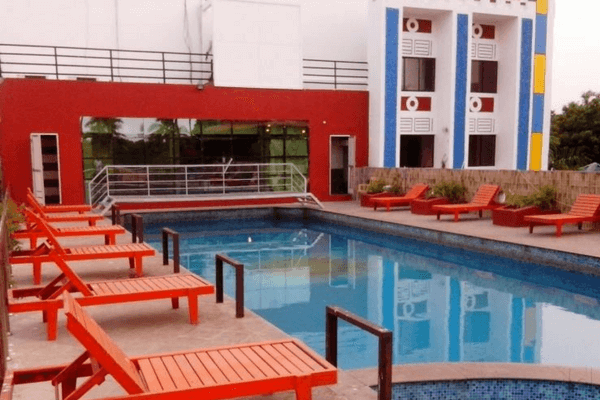 A fascinating array of amenities includes beach shack, infinity pool, a bar in the pool and with a smoky and misty Hookah Lounge for its patrons. Indulge in adventure activities here ranging from Target Shooting, French Boule, Heritage Walks, Cycling Tours, Volleyball, Cricket as well as Paintball. Distance from airport: It is approximately 150-151 km away from the Chennai International Airport. 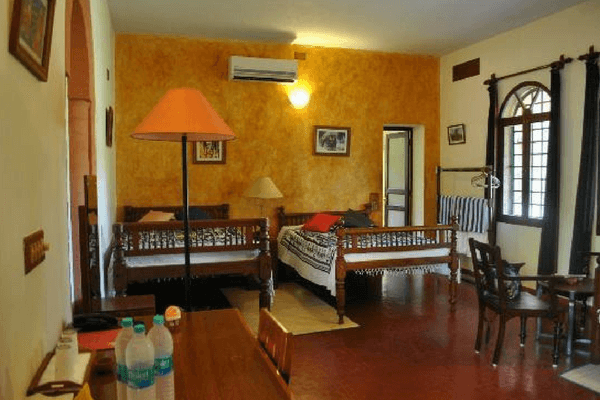 Approximate cost: It will cost you INR 5000-9000 approximately per night for a room. Sitting pretty right on the beach, RKN Resort offers a great view and a memorable experience to its guests. Start your day with a refreshing dip in their swimming pool which has a breath-taking grand view. The resort has a wellness centre, which is the perfect place when you want some rejuvenation time. Distance from airport: It is approximately 156-157 km away from the Chennai International Airport. 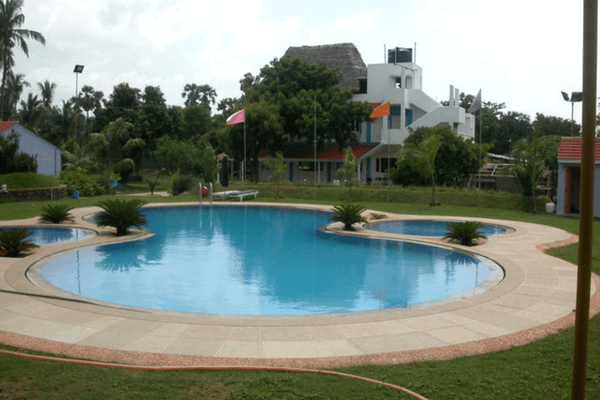 Club Mahindra Puducherry is located on 24 acres of lovely sea-facing land. The rooms are a charming mixture of modern and old-world aesthetics with comfortable amenities and beautiful views. Indulge in fun activities like a bull ride, bungee jumping, beach volleyball, paintball, archery. Walk down the beach and catch a great sunset. Distance from airport: It is approximately 162-163 km away from the Chennai International Airport. One of the best beach resort in Pondicherry, St. James Court Beach Resort is the best place to just relax and rejuvenate. 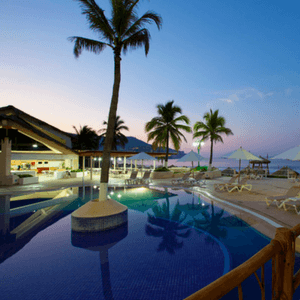 Settled next to the beach, the resort creates a warm atmosphere for its patrons. There is a sea slide, a swimming pool and you can go boating where you stay here. If you are here with your children, there is a special children’s park to keep them occupied. 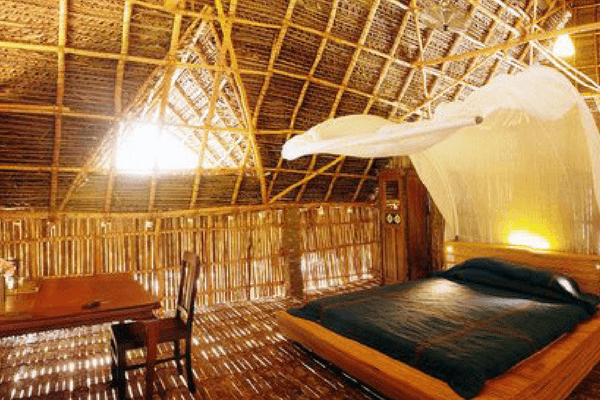 If this doesn’t interest you they have special bamboo cabins to choose from as well. Distance from airport: It is approximately 139-140 km away from the Chennai International Airport. Just a few steps away from the beach lies the Palais De Mahe. 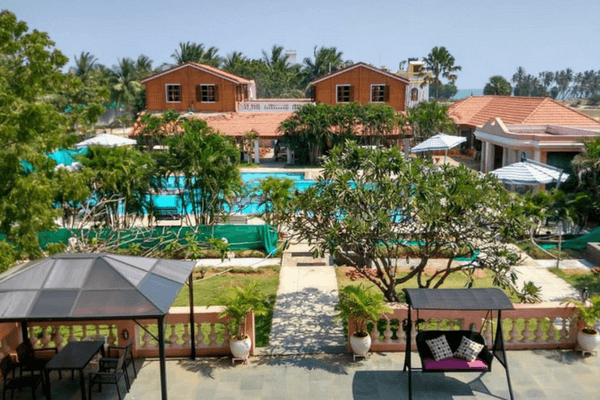 This beach resort in Pondicherry has an amazing veranda, quaint bungalows and flower laden balconies and the architecture that salutes the French culture. Book a special massage therapy that the resort offers so you can distress. You can also lounge by the poolside on a hot day as you are surrounded by the colonial architecture. Their in-house coffee house, Earth Café serves coffee that has been specially sourced from the neighbourhood. Approximate cost: It will cost you INR 9,500-19,000 approximately per night for a room. If you are travelling on a budget and need a place by the beach, then this is the place to be. The resort is near Auroville and it is a serene place if you want some peace and quiet. You can indulge in some bird watching activities if you want a glimpse into flora and fauna of the place. Approximate cost: It will cost you INR 1500-3000 approximately per night for a room. Plan your trip to Pondicherry now anjoy your luxury stay at one of these beautiful beach resort. The best thing of Pondicherry is its pristine beaches. We make sure you get the best beach resort in Pondicherry for your holiday. Great work. Nice collection of resorts. Really helpful stuff. Thanks for sharing with us.